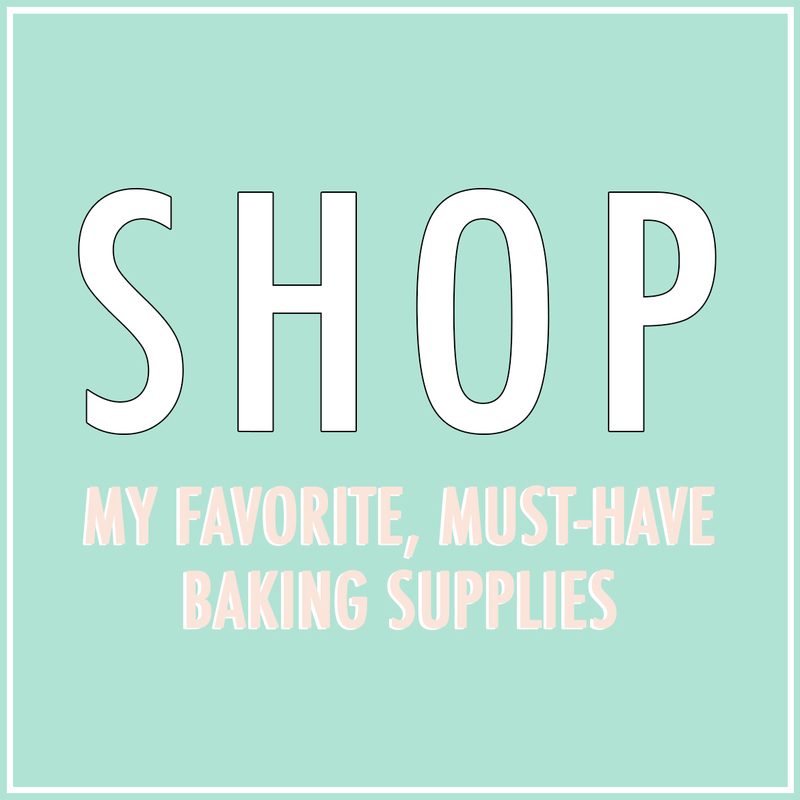 I will be posting a few gift guides on here over the next two weeks, so for the first one I thought it was only appropriate to start out with my baking essentials. These are the items I cannot bake (live) without! I’ve sourced the best deals and have included a little about each below. I’ve been using these since I started teaching myself how to decorate in 2012, and still depend on each of them today. So, for beginner to advanced bakers or for someone who just likes to spend time in the kitchen, look no further! 1. Kitchenaid Stand Mixer ($225): I can’t remember what life was like before I had my Kitchenaid. I personally use the Kitchenaid Artisan Series Mixer ($349), but would be just fine with the regular stand mixer. Not having to mix cake batter or buttercream with a hand mixer makes life so much better. 2. My go-to spatulas include this Silicone Spatula ($15.95) and this Offset Icing Spatula ($11). The silicone spatula makes transferring buttercream or batter from the mixer a breeze and the icing spatula is mandatory for frosting with buttercream. 3. Revolving Decorating Stand ($80): If you haven’t used one of these before to decorate a cake, you need to. An absolute must for smooth buttercream cakes. 4. Silpat Mat ($26.95): This larger mat size is so great. I use these mats for many different purposes. They work wonders for cookies in the oven, however, I use them on the daily as a nonstick workspace when I’m working with modeling chocolate, fondant, or buttercream. Another definite essential. 5. 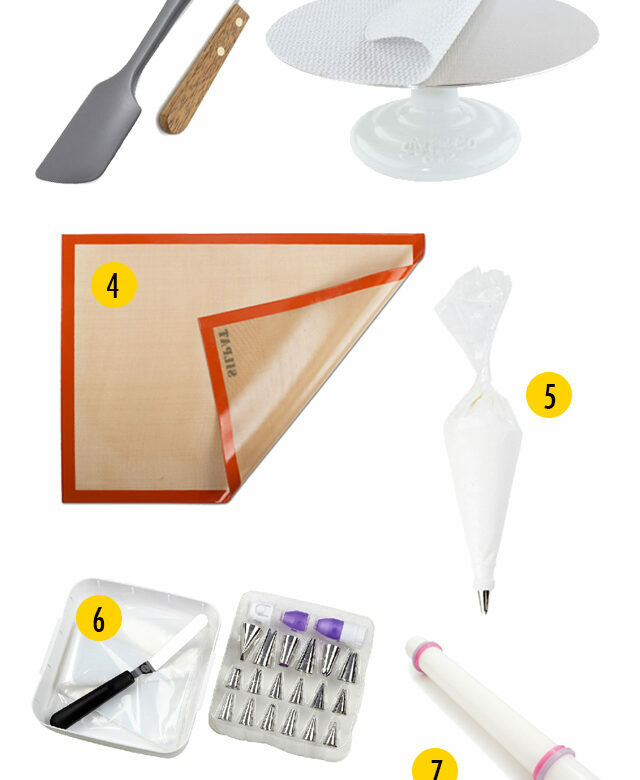 Disposable Decorating Bags ($5.50): I would guess around 95% of my dessert DIY projects require one of these. You can never have too many! For serious decorators, look for larger quantity rolls like this 100 bag roll. 6. Wilton 46 Piece Decorating Set ($27.99): Perfect for the beginning baker and dessert decorator. I still use the first set of decorating tips I purchased when I was just beginning. I’ve added additional tips to my set over time, so at this point I’d love this Wilton Organizer Case (hope one of my family members is reading this! ), as I’m sure any dessert decorator would who may already have their decorating tips. 7. Nonstick Rolling Pin ($8): When working with fondant or modeling chocolate, this rolling pin is a must. 8. Modeling Chocolate ($23.95): When decor that requires any modeling is needed (large sugar flowers, figurines) I prefer to use modeling chocolate. It allows you more time to mold to your liking and doesn’t dry out as quick as fondant. Plus, it sure tastes a lot better (tastes like a tootsie roll). It isn’t cheap though, so for practice or just to experiment with, I’d recommend Wilton Fondant ($9.95). 9. Americolor Soft Gel Color Set ($19.95 for 12): Americolor gel colors are everything. They are great for icing cookies, frosting cakes, coloring fondant/modeling chocolate, and so much more. Pick up this basic set of 12 for any dessert decorator.